Having 4 GB of MP3's on my WM phone is great, but often times it is very limiting when I want to play them on my home stereo or in the car. Wouldn't it be nice to turn nearly any stereo into a bluetooth compatibility with your WM phone so you could stream all of your favorite MP3's? This is exactly what I have been wanting to do. So I started looking around to see if someone was smart enough to solve this challenge. It did not take me long to find a potential solution from the dark side of any WM user... Blackberry! Blackberry has a very small and sleek looking Blackberry Remote Bluetooth Stereo Gateway. The idea is that you can turn any stereo with either a 3.5 mm earphone jack or RCA auxiliary input, into a Bluetooth stereo that can stream your MP3's from your phone to your stereo with any A2DP-compatible bluetooth enabled WM phone. 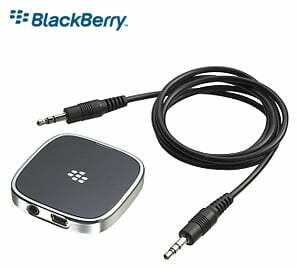 It sounds great, but how well would a Blackberry accessory work with my WM phone? This is what I set out to discover. 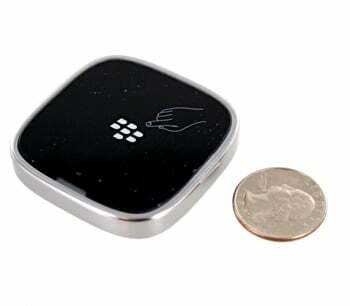 When I first held the device in my hand, I was impressed with how sleek it looked and how small it is. It felt very solid as well. The top is a glossy black, which looks nice, but shows every single fingerprint every time you touch it. There is a LED light at top which shows when it has power, is in pairing mode, or connected to a Bluetooth phone. The on and off button is in the center of the top. It is basically a touch sensitive flat top. On the unit there are two jacks. One is a mini USB port for power, that can be hooked up to a USB port or use a wall charger with a mini USB. The other jack is hook up to your stereo with either a 3.5 mm headphone jack or RCA auxiliary input... both of these cables are included. It was a no brainer to connect the device to a home stereo via both the earphone jack and the auxiliary RCA input. It also worked great in my car stereo with a 3.5 mm input jack. The only possible downside I see, is that the Blackberry Remote Bluetooth Stereo Gateway must be plugged in to work. It does not have a battery. I have a car charger with a USB port in it, that I use a mini USB cable with for power, but it would have been really nice to have a rechargeable battery for easier portal use in cars. When you first plug in the Blackberry Remote Bluetooth Stereo Gateway, it immediately put itself into paring mode, which I liked. My WM PPC-6800 found it just fine, but failed to pair when I entered the 0000 code to finalize the pairing process. I repeated this 4 or 5 times with the same result. I even tried a soft reset on my phone to make sure that was not the issue. I then started to focus on the device. So I tried to pair it with my Fusic. It did it the first time. After that, my WM PPC-6800 paired on the first try without a hitch. I deleted the pair relationship and repeated the pairing process 3 more times and could not duplicate the initial error. Once it was paired with my WM phone, I started testing its connection distance and how easily it regained its bluetooth connection once lost. While listening to music on my stereo, I started walking away with my WM phone. Not until I was about 25 feet away did I start to hear some breaking up with the bluetooth connection. At just over 30 feet I lost the connection. This was pretty impressive. As I walked back, it regained its bluetooth connection immediately and continued to play my music. Even when you unplug the Blackberry Remote Bluetooth Stereo Gateway and then turn it back on, it will reestablish the bluetooth connection in a very short time. 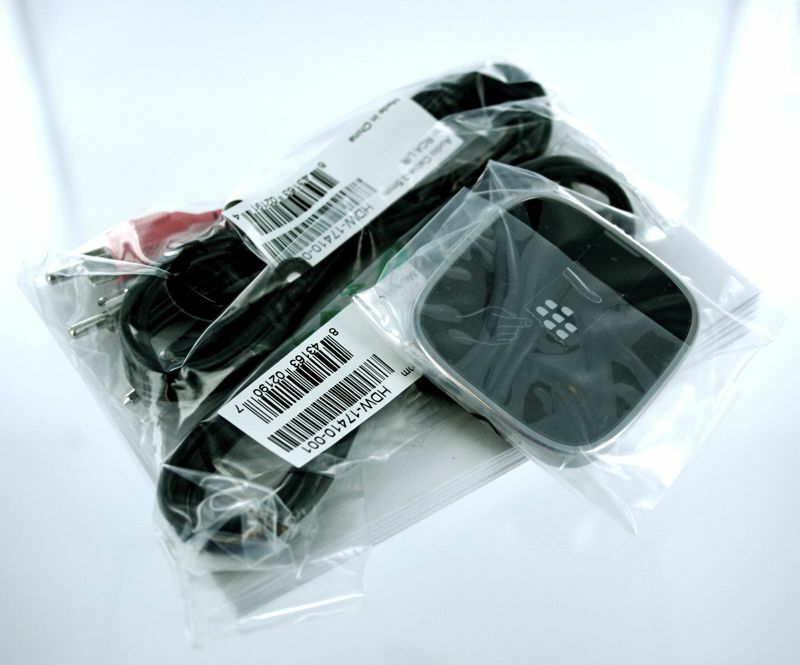 The BlackBerry Remote Stereo Gateway claims it is compatible with nearly all Bluetooth enabled mobile devices so you can stream your music from your PC, laptop, or any other A2DP-compatible mobile phone. Even though I had several failed pairing attempts initially, I did personally successfully test it with my WM PPC-6800, my Dell Laptop, and my Fusic cell phone without any more problems at all. When you are talking about sound quality with streaming audio via an A2DP-compatible bluetooth connection, you are very wise to approach it with apprehension. Past experience has shown me that this can vary greatly, and often times with less than satisfactory results. With that in mind, I was very pleasantly surprised by the sound quality that came out of my stereo. If I had just walked into the room and heard the music, I never would have guessed it was streaming MP3's via a bluetooth connection. I found no crackling... no hissing... no breakups in the streaming. Needless to say, I had to admit to myself that I was very impressed. Once paired, it was a breeze to use. So even though I am an avid WM user, I have to admit that Blackberry has really scored with their Remote Bluetooth Stereo Gateway. It reconnects on its own to any paired device. The sound quality is phenomenal. It is easy to connect to any stereo with an input option. I really enjoy my Blackberry Remote Bluetooth Stereo Gateway . As I mentioned above, my only suggestion is to add a rechargeable battery for easier use in the car. Other than that, it is truly a very easy way to add stereo Bluetooth compatibility to nearly any stereo at home or on the road. Must be plugged in at all times when in use. 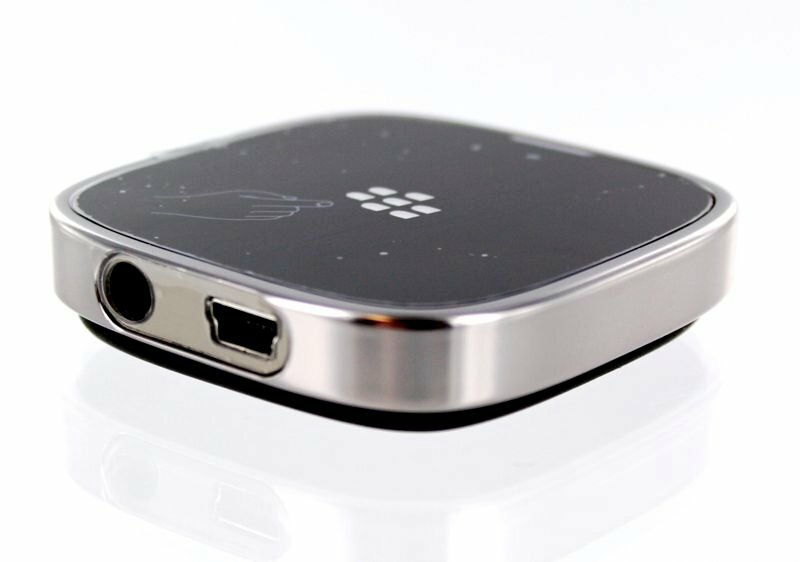 Blackberry Audio Remote Gateway user manual.